In the Adwords circles, there’s something call the Google stupidity tax. 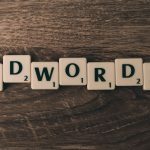 The reason why its named that is because advertisers don’t really know what they’re doing when it comes to Google Adwords. Google’s interface is beautifully designed, it “leads” you to click this and that, until you’re done, or at least its what you think. When I first started using Adwords many years ago, I blamed Google for misleading advertisers. They just seemed to be spending budgets so fast and nothing in return. At what point does the advertiser and practitioner take responsibility? You know what, I’m going to be really fair here. Google provides all the tools and resources so that the advertiser can create an effective campaign but it comes at a price though. For an advertiser to run a campaign without an Adwords consultant, requires hours and hours of study, videos tutorials, spending money that might come at a loss, knowing an Adwords strategy and more. What I’m saying is, for a beginner to run an Adwords campaign without in-depth study of the Adwords system, the likely outcome is a failed campaign, loss money, lost motivation for Adwords. It’s understandable and I would feel the same. So even if you get your keywords match types right (probably one of the biggest reasons why campaigns fail), you might fail the campaign because you didn’t get enough clicks on the same budget. The most popular way to control your bidding strategy on Adwords is using what we call “Manual CPC” where you set the maximum bid for each click. You tell Adwords how much you’re willing to pay for a click and Adwords doesn’t go over that. So if the average cost per click is £1 and your budget is £1,000 and your max CPC is £1, you’ll get exactly 1,000 clicks. What if you want to squeeze more clicks out of the budget? One thing you can do is buy yourself more time on Adwords. 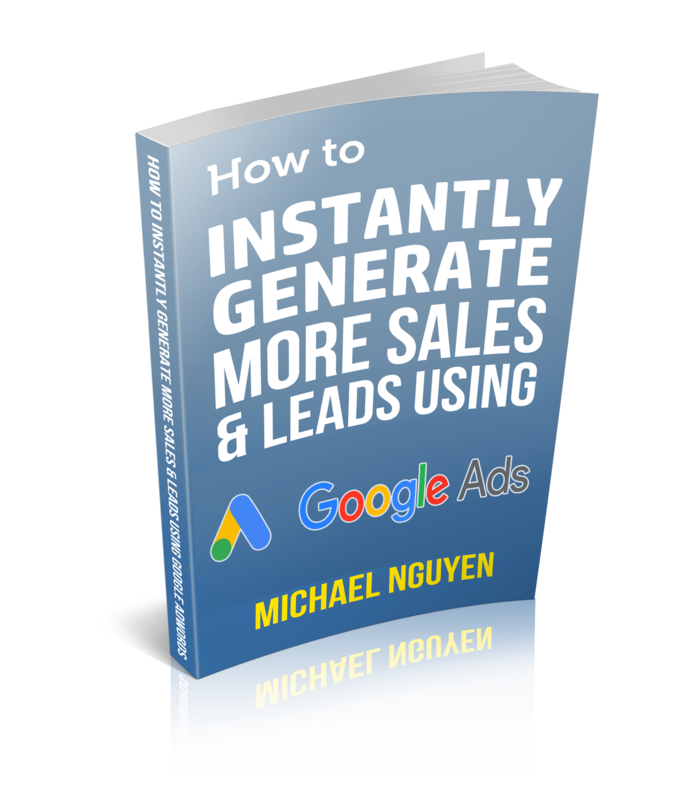 This will come in the form of getting as much clicks as possible from your Adwords budget. This is NOT related to the Manual CPC strategy. 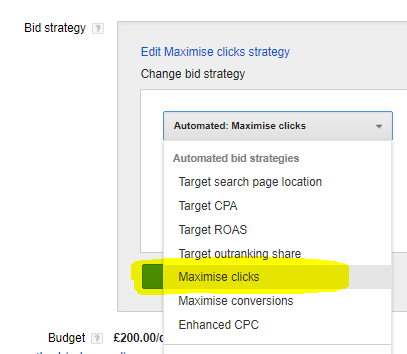 This bidding strategy is known as “Maximise Clicks” which you can find here in your Adwords settings campaign. This setting doesn’t aim to solve all your business problems just because it promises you more clicks, it’s just a setting for you to test out to see if it works. Google does what it wants so don’t take my word for it. Test with caution because you are essentially giving control back to Google which means they can set the bid amount. The belief is that Google will get you more clicks then if you used Manual CPC. It hasn’t failed us so far but again, watch it like a hawk incase Adwords goes crazy. I recently tested this bidding strategy on a client’s shopping website. Previously they were on Manual CPC and were paying about £0.32 a click which was acceptable at the time but we thought we test something different. We revisited the figures 1 month later and surprisingly the campaign was averaging £0.02 a click. I literally had to double check this, couldn’t believe my eyes. Not only was the campaign getting more clicks, he was getting cheaper clicks without increasing the budget. There’s no point getting cheap clicks if it’s not targeted but luckily all the clicks were related to his business and what followed after was more website orders. Luckily this setting was carried out on a Google shopping campaign where the customer sees the product and price before they click, so there’s a sense of pre qualification happening. I will test on a text link campaign shortly. We don’t know how long this will last but I can already see that Google or the market soon finding out. Our clicks are now about £0.03 a click. Usually when you get super cheap clicks, it means the market hasn’t found out yet. When they do, the maximise clicks settings may bring the clicks up to £0.15 a click. Who knows. Let’s revisit in 1 months time. 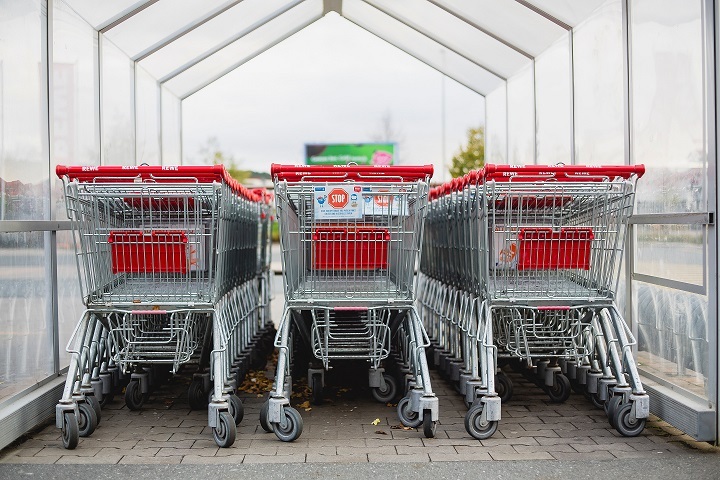 This setting can work for most types of advertising campaigns but I can see this one working well for Google Shopping campaigns because the user can see the product first. Get in touch if you want to make the most of your Google Adwords or Shopping campaign. 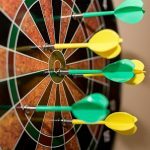 How Trial & Error on Google Ads Can Change Your Business Does Your Google Ads Clicks Have The Right Intention?